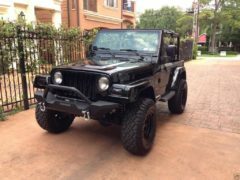 for 07+ 2door and 4door models or JK8. 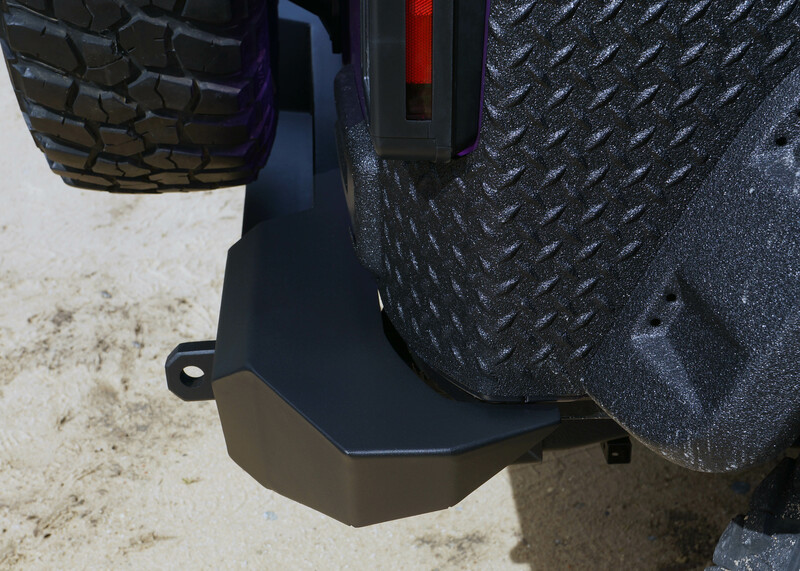 Advantage of This stylish and Crawler Deluxe Rear Bumper. 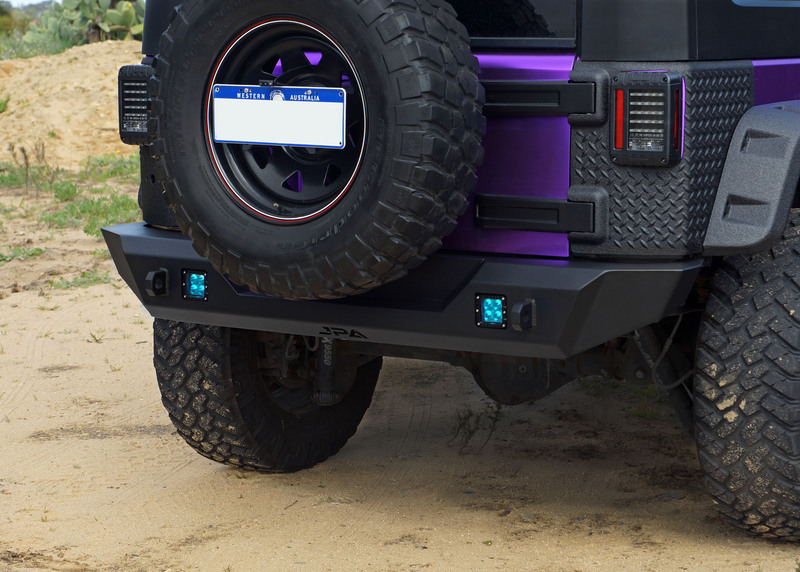 This is a solid rear bumper with great lines that compliment the JK Wrangler and look perfect with any Flat fender flares. 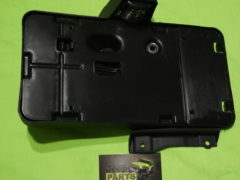 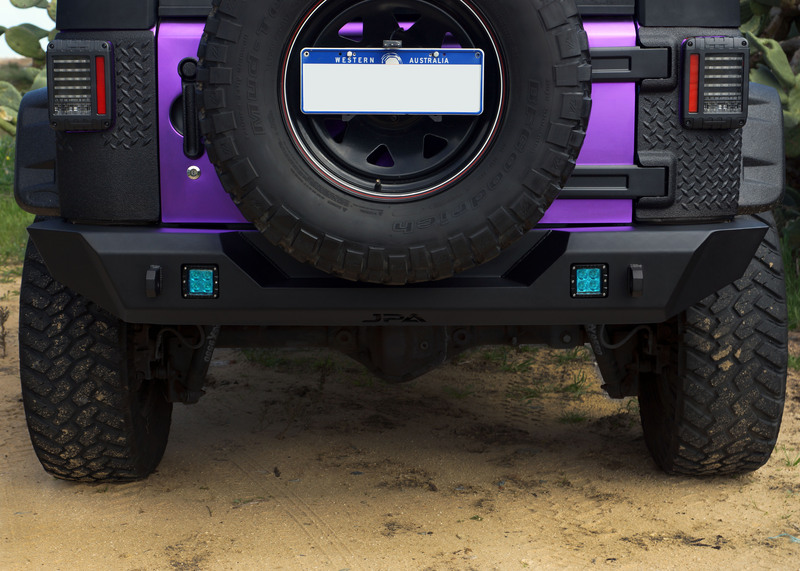 • 1 Piece welded design Rear Bumper including Recovery tabs. 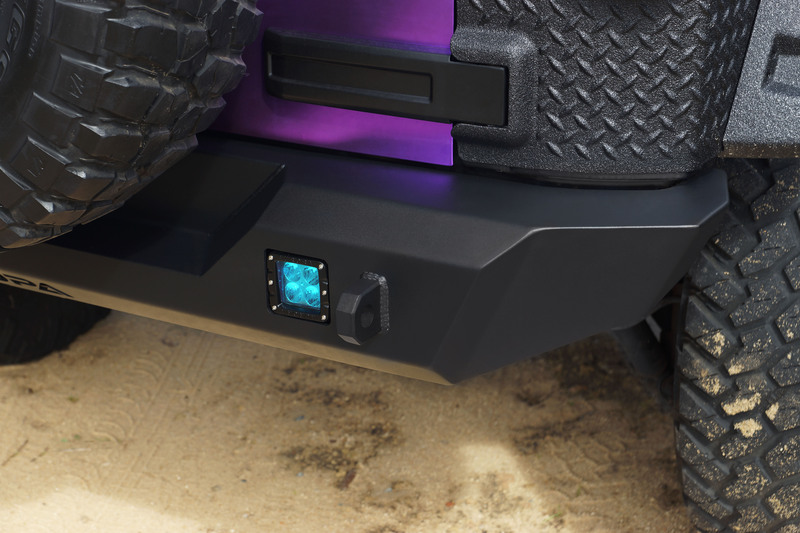 • High Clearance Departure Angles curves the bumper around the edge of the Jeep body for great corner clearance while providing protection to the rear quarter panels. 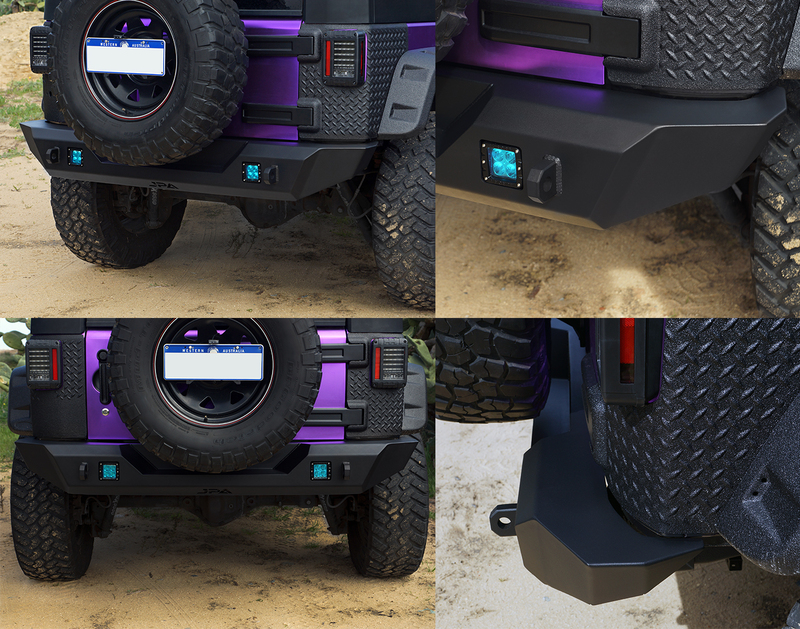 • Laser cut design for precision fitment and style. 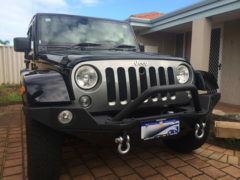 • Compatible with Aftermarket & OEM towbar. 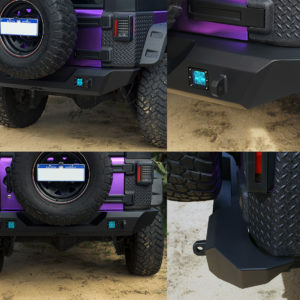 Be the first to review “JPA Crawler Deluxe Rear bumper for Jeep wrangler JK 07+” Click here to cancel reply.